February 21st., 22nd & 23rd. – West TN. Home, Lawn & Garden Show at the Jackson, Tn. Fairgrounds. Come see our BEAUTIFUL Displays and enjoy the early SPRING with us. MARCH 29th. – Carter’s Nursery Spring Festival & Customer Appreciation Day! Something for the whole family! Workshops & classes, a Petting Zoo & Pony Rides for the kids + GREAT FOOD for all! Come out and help us kick off SPRING! (Saturday 9am. till 2pm.) This is a FREE event! April 4th. – (Friday) We will be speaking for the Madison County Master Gardeners in Jackson, Tn. on the topic of Water Gardening. The meeting will start at 6:30pm. at the West Tn. Research & Education Center. Come out and join us. April 5th. – (Saturday) We will be setting up at the Tipton Co. Master Gardeners Annual Lawn & Garden Expo. in Brighton, Tn. Come by and see our display. April 20th. – EASTER Sunday! May 17th. – 16th annual Spring POP Tour – Our ‘Spring’ Pond Tour. 1st. of the season! (Sat. after Mother’s Day) – A FUN and Beautiful Day! This is a Self Guided Tour and this is a Fundraiser for the Jackson Humane Society. Tickets are $10 ea. (kids under 12 are FREE!). Evenings By The Pond! Come out and enjoy a laid back evening by the pond. We always have a educational discussion, good food & friends! – The 1st. one of the season will be hosted by Mark Carter & family at the Nursery on Thursday, May 8th. at 6:30pm. – Other dates and places are TBA. June 7th. (Saturday) 9am – Butterfly Release: We will have 2 great guest speakers, information on creating your own butterfly garden & a LIVE BUTTERFLY RELEASE! Bring the kids AND bring a CAMERA!. June 15th. – Father’s Day! Let’s remember dad! June 21st. – 16th annual Summer POP Tour – Our ‘Summer’ Pond Tour (Always the Saturday after Father’s Day). A FUN and Beautiful Day! This is a Self Guided Tour and this is a Fundraiser for the Jackson Humane Society. Tickets are $10 ea. (kids under 12 are FREE!). ~ This is also the night of the “Moonlight Luau!” Live music! + We cook a whole hog in the ground “Kalua Style” and have a party beneath the stars! This is a DON’T MISS event! July 4th. (Friday) – Independence Day! We will be closed the 4th., 5th. & 6th. in observance of the holiday! -July 19th. – Getting Your Feet Wet with Water Gardening! This is our annual Summer OPEN HOUSE at Carter’s Nursery! Take part in our Classes, Tour our Gardens and Ponds & stay for lunch with the Mark Carter “Pond Guy” and crew for a great day of Fun and Learning. -August 16th. – Aquatic Plants in the Landscape! -September 13th. – Topic TBA. October 11th. – 10th annual Moonlight Pond Tour. This is our Annual Night Time Pond Tour! The tour always falls on a Saturday Night closest to the Full Moon!! Don’t miss this Unique Garden Tour Experience! October 25th. – Fall Festival/Customer Appreciation Day. Come take part in our Workshops & Classes! FREE LUNCH for ALL that come! Petting Zoo & Pony Rides for the kids! BIG SALES for the Fall Season for all that come! Thanks, and I hope to see you all here! Call me with any questions at #731-424-2206. Here’s to a GREAT 2014! A QUARTER OF A CENTURY OF LOVE! This has been on my mind since January 1st.! Folks, this is the 25th. Anniversary of Carter’s Nursery, Pond & Patio! A “Quarter of a Century” of doing what we do… WOW! The first thing I need to do is say “THANK YOU” to all of YOU! We have the best customers in the world! AND, dare I say, the most loyal! Thank you for all the business and opportunity that you have afforded us, we could not have done it without your generous support! 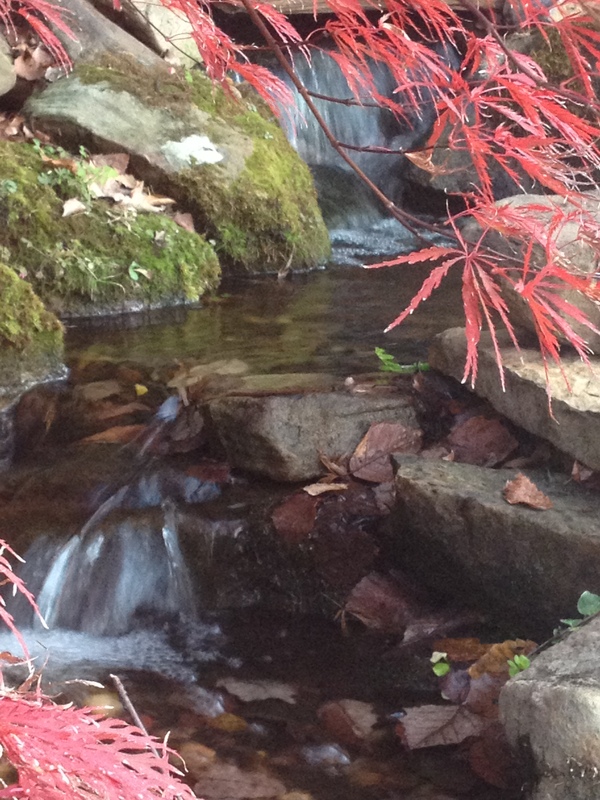 This is one of our many display Water Gardens at Carters Nursery. 2014 is going to be a GREAT year in the Garden! Happy New Year! It’s COLD folks, BUT…. Spring follows Winter! And I am ready for a GREAT Spring season! We are busy planning 2014’s event schedule as we speak I will get it published ASAP and we can go into another great year in the garden together. – See y’all soon. Here’s to 2014! 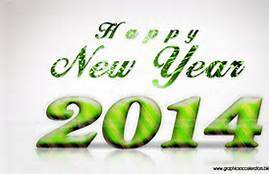 Let’s make 2014 the BEST year ever!